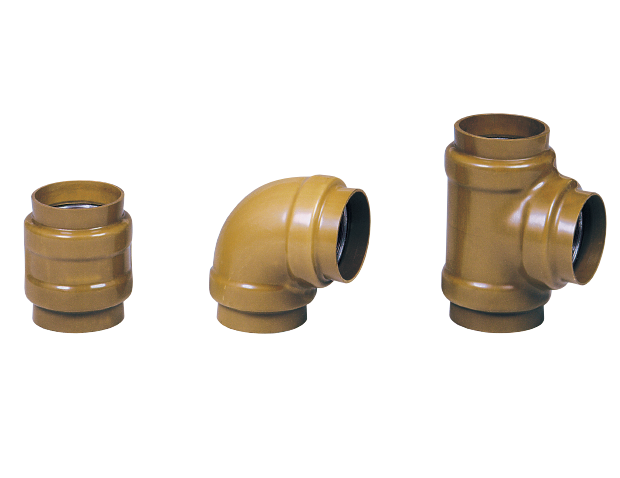 20K VF fittings are anti-corrosion fittings, made of JPFM004 (Screwed type malleable cast iron pipe fittings for pressure service) with a plated outer surface coated with hard PVC resin, and with a unique socket. 20K VF fittings form a unique anti-corrosion socket and must use butyl tape as filler. ■ Base material of 20K VF fittings is a rated product under the Fire Equipment and Safety Center of Japan.